Clean Break is a theatre company committed to highlighting the injustices women experience in and beyond the criminal justice system. This co-production with Theatr Clwyd fields an all-female creative team to deliver a punch-in-the-gut script from Katherine Chandler, developed from workshops and classes in women’s prisons, and featuring standout performances from its two actors. Thick as Thieves questions if it’s nature or nurture that makes a good mother and the answers turn out to be brutal and heartbreaking. Brought up in care, the lives of sisters Karen (Siwan Morris) and Gail (Polly Frame) follow different paths after a devastating event in their teens – Karen fostered by a loving family in Wales, Gail neglected in a care home in Belfast. There’s been no contact between them since until feckless Gail, unable to hold on to a job, a man or her two children, turns up in the office of career-orientated Karen, whose own children are looked after by a nanny, to ask for help. Chandler’s excoriating play peels back the revelations layer by layer over a bruising 80 minutes. Frame and Morris are both hugely impressive – two wildly contrasting personalities, who might once conceivably have been part of a whole. As recriminations fly, each visceral response rings with disturbing honesty. 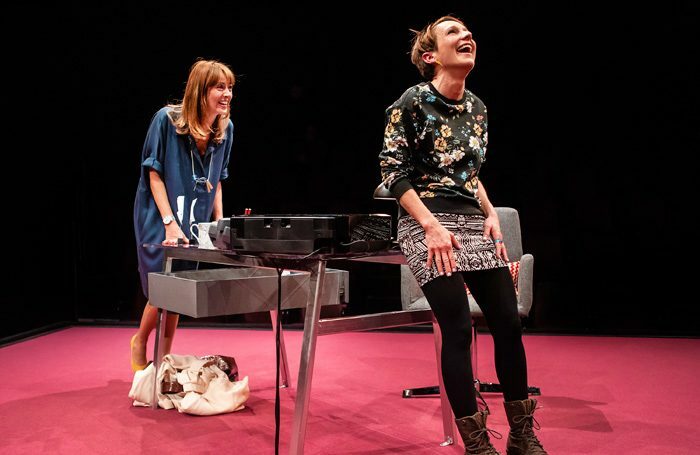 Director Roisin McBrinn’s taut in-the-round production has them circling like combatants on Alyson Cummins’ deceptively simple set – a desk anchored mid-stage on a platform, which tilts and shifts with the balance of power, while Elena Pena’s subtle soundscape heightens the tension. 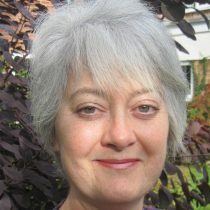 Lesley is a freelance theatre critic and features writer.